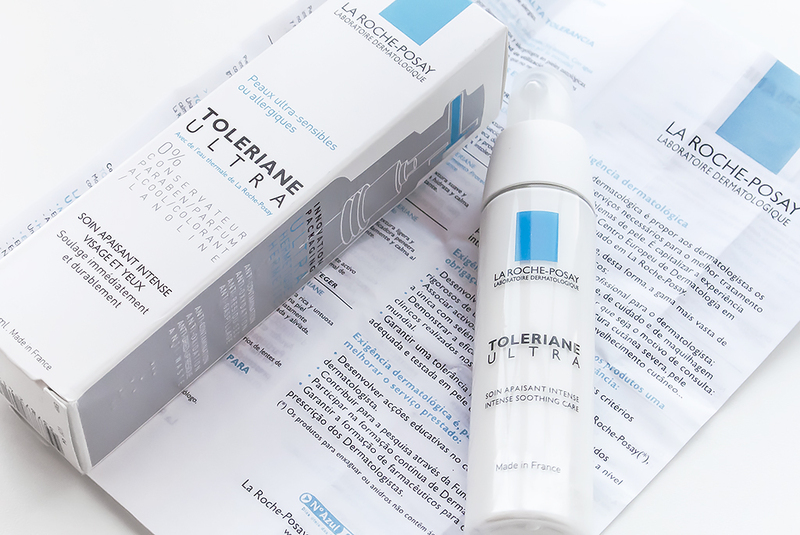 If you have a tendency to react to products or have very sensitive skin, as I do, then La Roche-Posay Toleriane Ultra is something that might just be the ticket for you, carrying The British Allergy Foundation Seal of Approval. 100%-free from lanolin, colorants, alcohol, artificial fragrance, parabens and preservatives with space-age anti-contamination and ultra-hermetic packaging, they’ve really pulled out the big guns. La Roche-Posay laboratories clearly understand the causes of sensitive skin. So you know what it hasn’t got, but what has it got? Not a huge amount and only what’s necessary. Tested on allergic skin complying with EU Standard Series testing, it’s main hydrating and calming ingredients are: Isocetyl Stearate, Squaline, Shea Butter and Glycerin. The water in the product is calming La Roche-Posay thermal spring water, the effective power behind the brand. La Roche-Posay Toleriane Ultra is designed to deeply hydrate and calm ultra-sensitive and/or allergic skin (face and eyes). On the skin it feels deeply nourishing but not greasy and I can see this being beneficial for pretty much any skin type (unless very oily). It works well on my dry/combination skin type (drier in winter) and does’t leave me all that shiny; I mean, there’s a sheen, but I don’t look wet. My top tip for this product is to keep it in the fridge. If you flare up or react as I do constantly when testing a good few of the products I review for Manface, I’ve found this, with a little La Roche-Posay Cicaplast, immediately calms things down and reduces surface redness and irritation. If this sounds up your street, it’s available for £12.37 here from Boots online or £17 here from Esecntual. This article first appeared on MANFACE written by Thom Watson. It was published on Saturday 21st December 2013 and was last updated on Monday 3rd April 2017 at 3:19pm. It's categorised under Dry / Dehydrated Skin, La Roche-Posay, Moisturise, Sensitive Skin, Special Care where you'll find more related content.